The second iteration of the new Shimmer Me Box is a "Totally 80's Neon" theme and features the guest brand, Blush. Livin' In A Material World is a neon coral with a green shimmer and a sprinkling of blue-purple iridescent micro glitters. Three coats with topcoat shown. Formula was a little thick but easily applied. I've included a darkened version of each image as an attempt at portraying this shade more accurately. Neon corals, oranges and some pinks don't photograph well under my usual lighting. 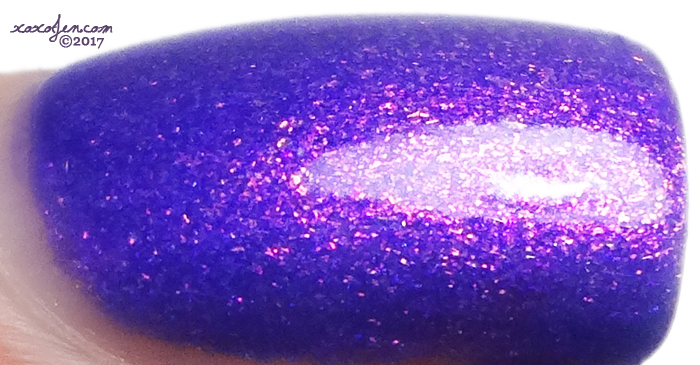 The Future's So Bright I Gotta Wear Shades - Neon violet purple with intense pink Shimmer. Two coats with topcoat, formula was excellent. 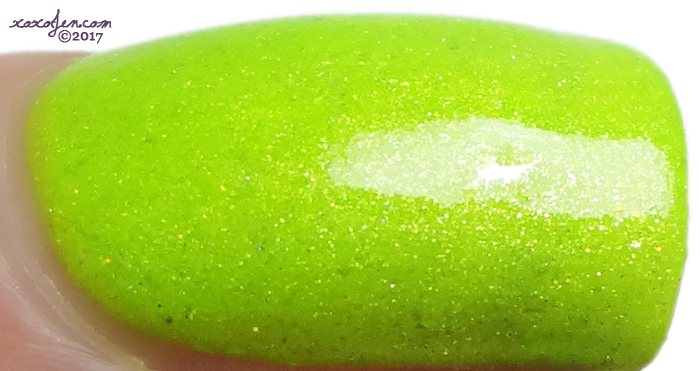 Beetlejuice - A lemon-lime neon with white and green shimmer, flakies, and a bit of holo. Three coats with topcoat, in hindsight I should have gone for one more coat. Formula was a little thick but easily applied. 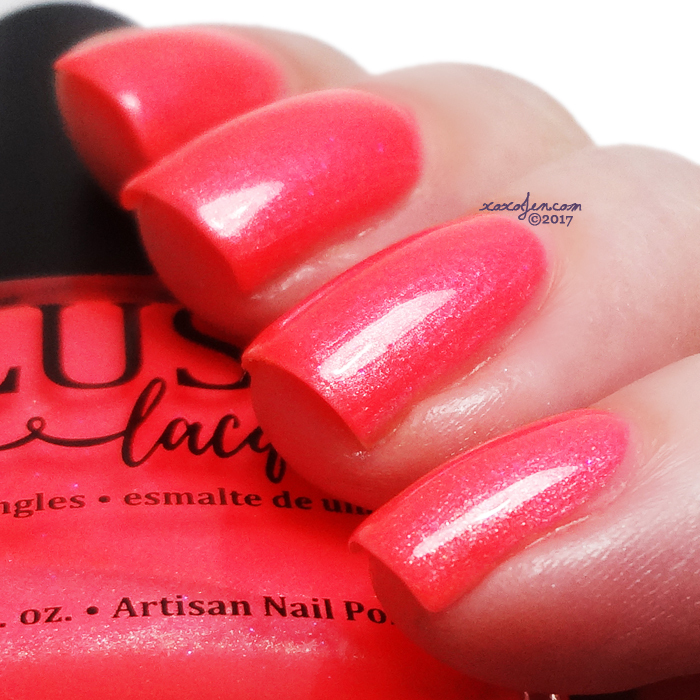 Totally Bodacious is a neon fuchsia with green shimmer. Two coats with topcoat, formula was good. Which shimmer box polish is your favorite so far? Let me know by commenting below and if you enjoyed this review, please give me a like/follow on facebook! Some fun neons for the season!